This weekend I finally managed to get to my first Hackathon. A hackathon is an event sponsored by tech / geek companies and a large number of the geeks gather to break into teams and make cool things. Wentworth Computer Science Society will be hosting one in April 2016. Anyways, this one was Codestellation at Brandeis university and the event ran from 8AM Saturday to 2PM Sunday with lots of tasty food and cool hardware. The hackers developed loads of new software and ideas that weekend, and Wentworth Computer Science Society represented really well. We sent a few teams and one of our students won a prize. 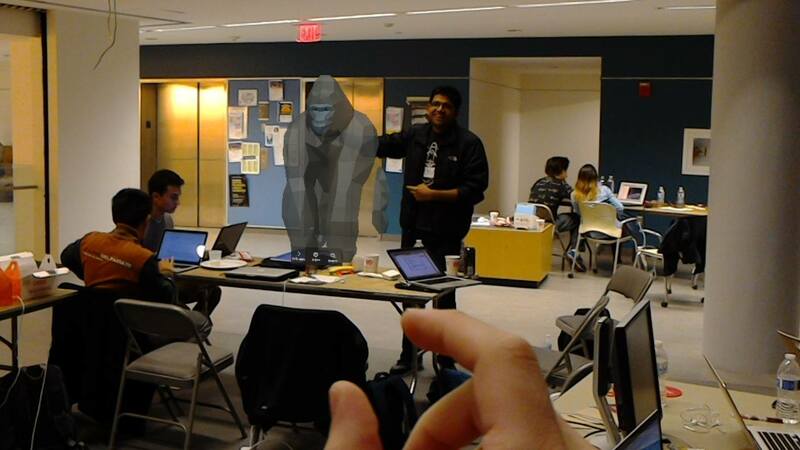 My partner and I checked out a Microsoft Hololens for the weekend. If you want AR, this is nearly everything you could imagine, and it’s really exciting to imagine that it will be heavily developed and common someday. By the end of the weekend we had developed a somewhat functional Skype bot that users could call from their own skype accounts. The bot would pick up the call (with video, if wanted) and try to have a conversation with the user. To geeks globally, you should take advantage of clubs and events and go to hackathons.